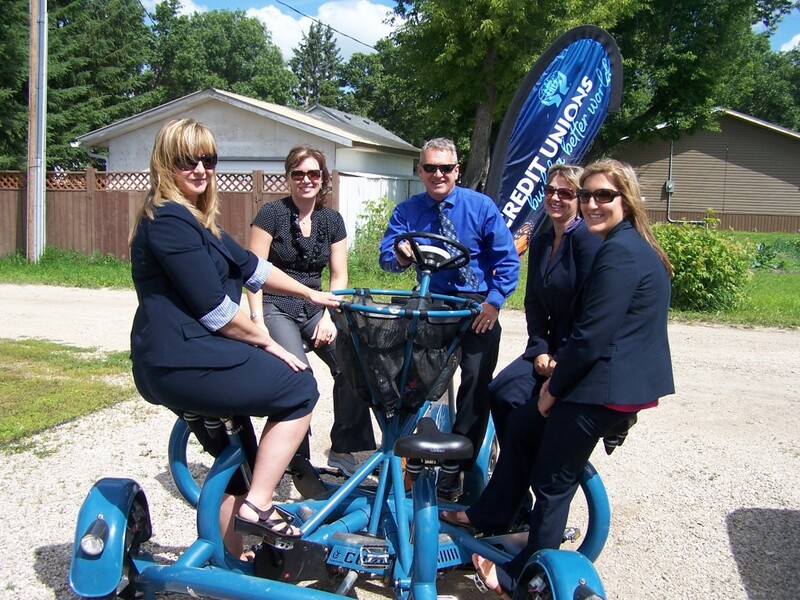 The newest attraction to our package add-ons is the 7-seat conference bicycle brought to you by Catalyst Credit Unions. The bike offers a way to take meetings out into the fresh air! Designed by world-famous artist and inventor, <a href=”http://ericstaller.com/about/” target=”_blank”>Eric Staller</a>, this bike is a must-try on your next visit to Dauphin. Getting speeds of up to 35/km per hour, the seven seat bike glides effortlessly over streets and up hills. The bike is east to peddle, steer, and the drivers seat offers the freedom to give annimated tours and operate cameras. Interested yet? 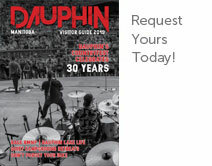 If you are interested in renting the bike for tours, conferences, or other custom experience add-ons, please contact Tourism Dauphin for information on rates and availability.